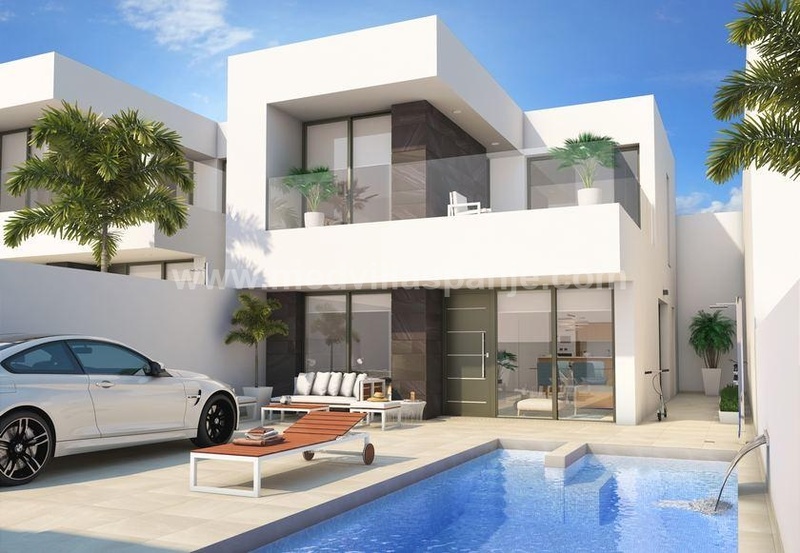 Modern villa in build on 10.000sqm plot in the region of Pinoso, Ubeda, Lel, La Romana, Aspe, Hondon de las Nieves en Hondon de los Frailes. The villa is in the area of La Romana and has all facilities such as supermarkets, bakeries, butchers, PC store, furniture and electro together with two pharmacists. There is also an excellent Saturday market for fruits and vegetables and all this at 30 min from the beaches and airport of Alicante. PS: Found your dream home? Place it with your favorites by clicking above the photos on the liitle heart. So you put together your own top selection Spanish properties that you can send to yourself or friends.